Metal is hard, but drilling through it is easy, so long as you take the time to do it right and give due credence to safety. Provided you have the right tools, it’s not difficult to drill through metal. But for the job to go smoothly and the results to be satisfying, make sure you know the basics. First, be sure to wear safety goggles—not glasses—when you drill through metal. The goggles prevent any tiny flecks of metal from getting into your eyes. To hold the metal in place as you work, use a vise or a set of clamps. Also, it helps to create a small dimple, using a center punch, in the spot where you are planning to drill. The dimple doesn’t need to be big, just large enough to keep the drill bit in place. As you’re drilling, keep a little light motor oil in the hole to help with lubrication and to keep the bit from overheating. 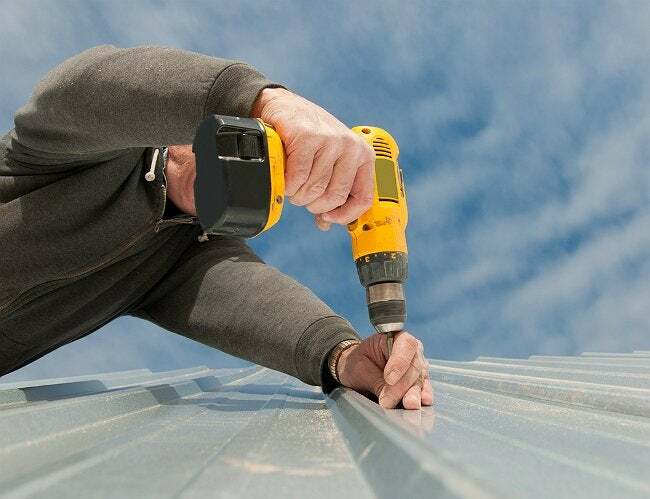 Don’t try to rush the job by applying too much pressure on the drill and running it at top speed. You’ll achieve better control, and end up with a more accurate and cleaner cut, if you use moderate pressure and keep the drill at half speed. Bob Vila Radio is a daily radio spot carried on more than 186 stations in 75 markets around the country. You can get your daily dose here, by listening to—or reading—Bob’s 60-second home improvement radio tip of the day.